Preheat oven to 350 degrees. 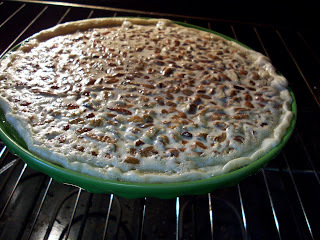 Butter and flour deep dish pie plate and transfer pie crust to prepared dish. 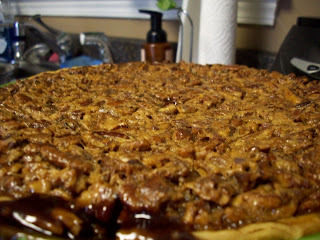 In a small saucepan, combine butter, sugar, and corn syrup. Stir constantly until butter is melted and sugar dissolves. 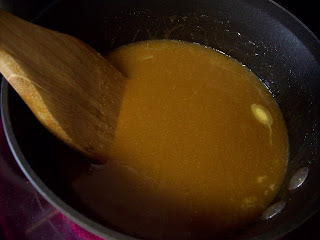 Mixture will be a thick syrup. Cool slightly. In a large bowl, beat eggs and add vanilla extract, salt and bourbon. Add 1/4 cup of syrup to egg mixture to temper slightly. 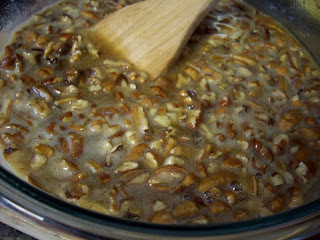 Add remaining syrup, mixing well until incorporated. 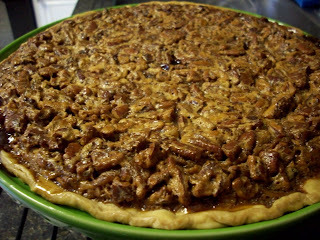 Add chocolate chips and pecans. Pour batter into pie shell and bake for about 1 hour until center of pie is set, it should spring back slightly when tapped. Place a cookie sheet under the pie to prevent any spills from burning on the bottom of your oven.